Find My Workspace lists over 95% of the business centres market in Milford Haven. Simply click Request Quote to check pricing for one office, or Add to Basket for multiple offices. 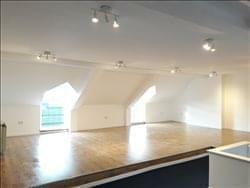 This space, located on the high street is great for a new business looking to build their future. This 3 storey building will give you 24 hr access if needed and there is also a separate kitchen and lounge area where you can breakout and use the wifi. There is the possibility for you to use your own signage on the ground level high street and parking is available at the rear of the building. The workspace is newly renovated, flexible and can accommodate any business at the best price. To obtain information for your selected Pembrokeshire Business Centres, please tick the "Add to basket" box for each office you prefer and complete the form below. We will then send a detailed report via email.